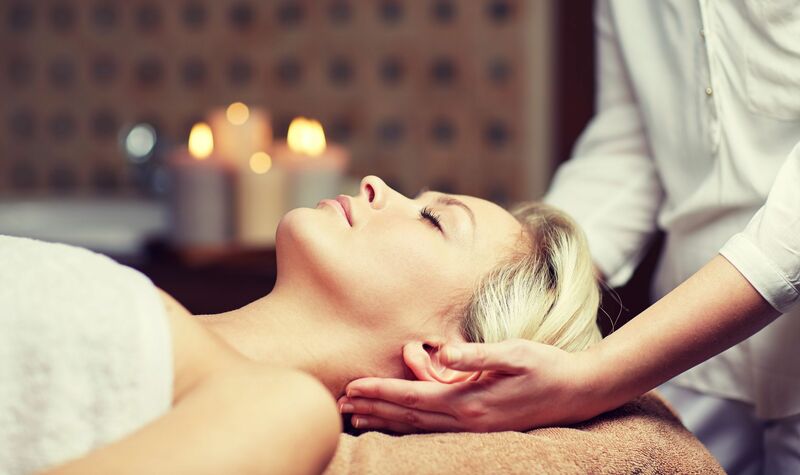 A massage can be one of the most relaxing experiences, for an ultimate me-time moment in a hectic-paced world. But massage is so much more than just an hour or so of relaxation, it can enhance health in many ways. Combined with the right massage boosters and followed by good self-care, those health enhancements can have a lasting impact on your well-being. So here’s what you should know about making the most out of your massage experience, whether as a gift for a friend or a loved one, or for your own enjoyment. You probably know that a massage can help loosen tight, problem areas and provide deep relaxation, but the health benefits of massage are even greater. Target problem areas: Tech neck from too much time on a computer or smartphone? Tight muscles from exercise? Tension headaches? Recovering from an injury or strain? A massage targeted at problem areas can help separate bound muscle tissue, ligaments and fascia, which in turn allows the body to relax, heal and strengthen. Soft tissue strains, fibromyalgia, headaches, joint pain, and recovery from sports injuries are all documented benefits of massage. Support the body’s detox actions: The body continuously pumps blood, and the digestive system does its many jobs, all as part of the natural detox systems of the body. But these functions can be greatly enhanced by massage. Get the lymph system moving, improve circulation, and ease digestive distress with massage. Relaxation and anti-aging: Massage proponents have also come to recognize other bonuses of effective massage, particularly for relaxation and rejuvenation. Skin appears firmer and smoother, as fascial tissue is lengthened and gently stretched. From the benefits to the face and decolletage, to underarms and thighs, improving the flexibility of the fascial tissue may help skin look less wrinkled, dimpled or saggy. These and many other benefits of massage have been well-documented in many cultures for centuries, but are all more accessible to you today than ever. Drink plenty of water, to get your lymph moving, hydrate tissues, and prepare for a massage. Drinking plenty of water is just a good health habit to maintain, but particularly before and after a massage. Determine the length and type of massage you want. If you are unsure of differences between approaches, speak to a member of our helpful team to guide you toward the services that will best suit your needs. Eat a good breakfast, but not a heavy one, and take a hot shower before you arrive. Your muscles feel fed and relaxed in preparation for your massage. Communicate to your massage therapist about your goals for your visit. Also be sure to communicate any health conditions or concerns, which may impact massage techniques utilized or safety. Wear loose, comfortable clothing that will be easy to put back on after your massage, and you may also wish to minimize jewelry. In your post-massage relaxed state, having less to fuss over can help continue that serene feeling. Amethyst blanket wrap, which has many healing properties. If you have never tried an amethyst blanket booster, you are in for a treat. Amethyst has been used for thousands of years as a crystal to align energies within the body. The heat and pressure of the blanket, combined with the restorative power of this natural crystal, enhance relaxation, relieve sore or strained muscle, and promote circulation within the body. After that preparation for your massage, and then the incredible relaxation and restoration you feel afterward, you want those results to last. With a few simple measures, you can maximize those results. Follow any recommended advice from your massage therapist. Enhance your experience with additional services, such as a facial. Continue enhanced circulation and lymph function with plenty of water intake. Continue relaxation with ample good sleep. Eat well and get regular exercise. Make massage a regular part of your self-care. When you are ready for a health-restoring, rejuvenating, age-defying or relaxing experience in a tranquil setting, visit us. We can help you develop a massage plan for a single visit, a full day at the spa, or an ongoing massage treatment program to boost wellness and well-being. We also offer gift certificates, so you can give your friend or loved one the gift of a healing massage. Contact us to schedule today.